You go the gym, with a good workout (like this one!) in hand… ready to smash through the weights! You get started, do a quick warm up, get all set up on the free weights and machine but then after a few sets, you feel sluggish. You feel drained… worst yet, you go through your entire workout not feeling like you’ve done anything! So what gives? You may surprised to learn that it may be what you are eating…. Or how you are fueling your workouts. 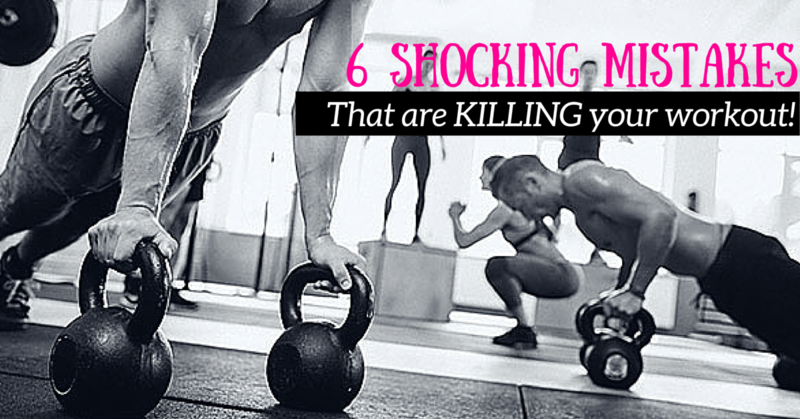 Here are 6 Shocking mistakes that are KILLING your workout! Not fueling your workouts: Many of you may be working out on an empty stomach or on a light snack…. Which is totally fine. This isn’t about food but rather supplements to FUEL your muscle and workouts. Water, BCAAs, caffeine, and electrolytes go a very good job feeding your muscles and body the energy it needs to crank out more reps and sets in the gym! Many people forget to give their body adequate amounts of water or BCAAs during their workouts and end up shortchanging their performance in the gym. If you are a hardgainer, have low blood sugar or faint easily, you should also be eating a light snack before you workout (think a protein shake, a piece of fruit or a protein bar). Keep in mind that you are demanding a lot from your body during a tough workout, so make sure to FUEL it! Eating too much before you workouts: Heavy meals before workouts are a big no no! It takes energy, blood and supply to digest food so when you have a large, heavy meal your body is more focused on breaking down that meal than lifting that barbell! Which means you will not be lifting at your 100 percent or pushing with all your energy! 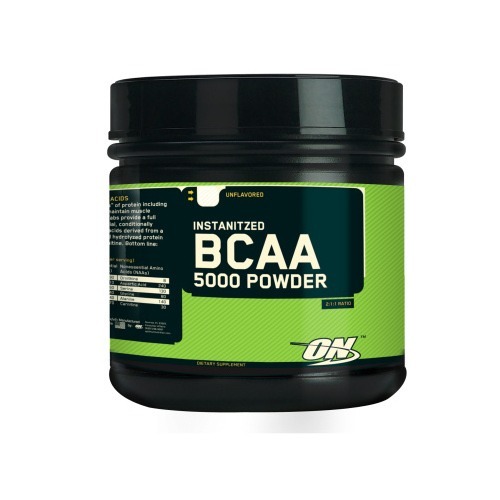 Do your body a favour and eat a light snack and bring some BCAAs or electrolytes with you to your workout! Not structuring your workouts: Even if you are a trainer with a large extensive library of exercises in your head, it’s best to have some sort of structure before you head to the gym. Plan it out! What do want to focus on? Is there a body part or muscle group that’s lagging and needs more focus? 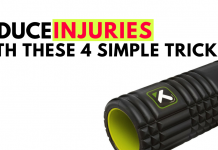 Perhaps you are training for a specific event or sport? Make sure you know what your end goal for your workout is! Then structure your workout to meet that goal! Do not just go the gym and gravitate towards whatever machine is free… you are short changing your own progress! You will most likely keep to what feels comfortable instead of really challenging yourself. The best workouts are ones that are goal oriented. Perhaps it’s targeting a muscle or energy system… perhaps you want to deplete your glycogen stores… maybe you want to work on your aerobic capacity and muscle endurance. Know what you want out of each workout and structure your exercises, sets, reps and tempo around it! Stopping before your reach muscle fatigue: Most good programs out there do a good job of taxing your energy system and muscles so they are fatigued! This may include pyramid workouts, high reps, or actual fatigue sets where you lift a weight for as many reps that you till your muscles) fatigue. Why is this important? Simply because your body adapts to things it is not used to. If you are always keeping to the same set and rep range (like the typical 3 sets for 8 to 12) chances are you are not actually challenging your muscles or your body. Have you heard “it’s the last few reps that count?” Yup, well that is very true! Your body only adapts to the last few reps.. You know that hard ones that hurt! The one you can barely crank out! Those are the reps that get your body to grow! Ensure you are actually pushing to those limits and not just stopping at 12 reps because the workout said so! Look and feel for fatigue, it’s actually a good thing! Not paying attention to your form: Another super important tip! Make sure you are engaging your core, have the right stance and have good form on each and every rep! There is no point of working out and exercising if you are doing it with poor form. In fact you are more likely to injure yourself if you are lifting with bad form. Learn proper form and technique from a trainer or fitness professional.. And then practice, practice, practice! Breathing, tempo, range of motion during and exercise, your feet and head stance, your elbow/ shoulder/ knee/ hip placement… they are all very important during workouts! Lastly, do not shortchange form for heavier weights! This is often what we observe at the gym… someone picking up a weight that they cannot control or handle. If you have to rock back and forth, use momentum, swing and essentially short change your form during an exercise, chances are you are lifting a weight that is inappropriate for your body. Pick up something lighter and focus on technique!